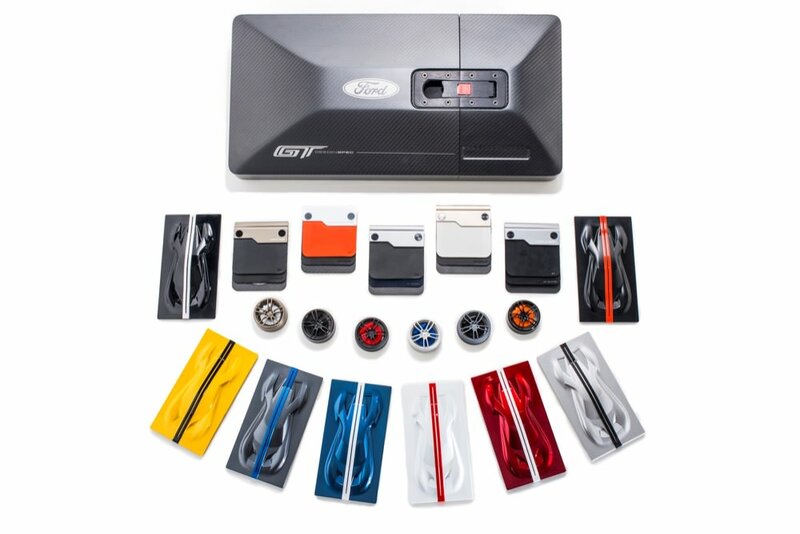 If you happen to be one of those lucky people (or social media stars) that have been offered a production slot for the new Ford GT, there’s a special package coming in the mail. 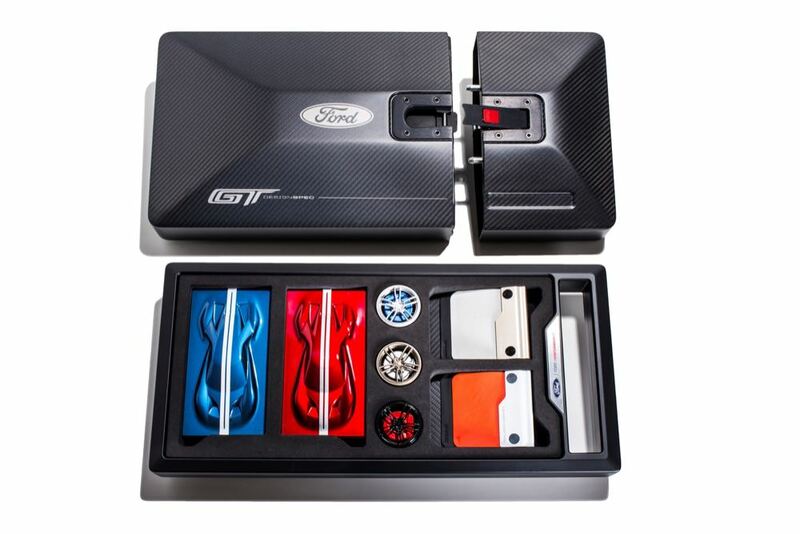 Ford is sending out special order kits to expectant owners to help them choose just how they want to spec their GT. 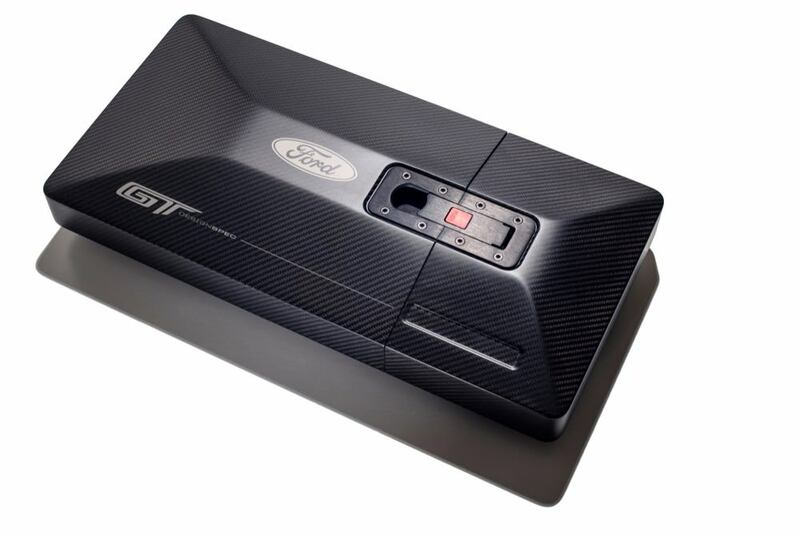 It all comes in a very cool looking presentation case that is made from carbon fibre just like the car and opens via the same release catch seen on the Ford GT race car. 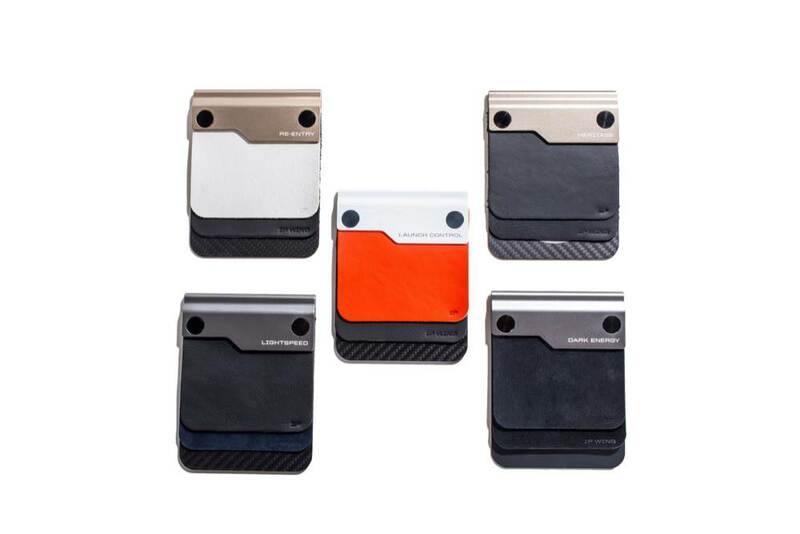 Inside there is eight exterior paint samples, all shaped like the Ford GT, and these include removable stripes that can be applied to give an idea of how the car could look. In addition to that are different wheel colour options including calliper colours. For the interior, there is a number of fabric samples made from the same Alcantara and leather materials that will feature in the finished car. This will give owners a chance to better imagine how the cabin will look and feel, probably while also making loud revving and whooshing noises. If that wasn’t enough of a thrill to keep eager owners happy, once the spec of the car is chosen and sent to the factory, Ford has another treat in store. 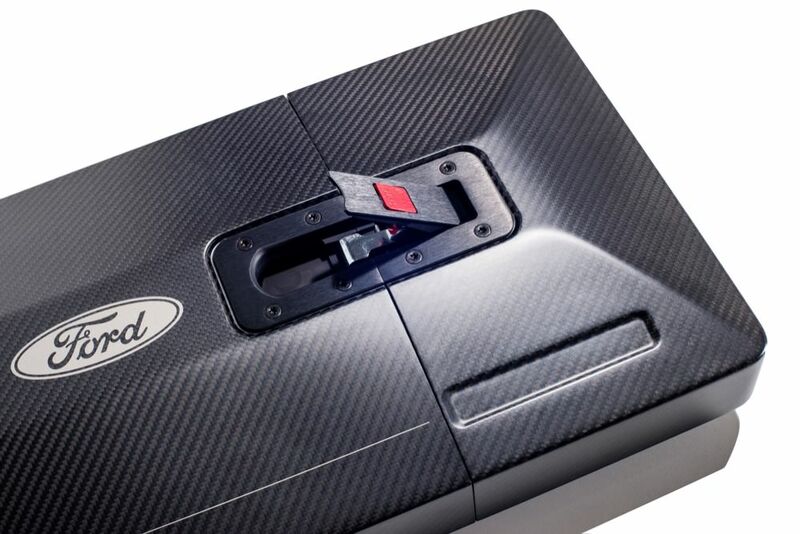 A special VIN plate that will match the actual car’s chassis number will be sent out to owners, and this is designed to fit into a special concave part on the order kit. Here’s a short video showing exactly what comes in the kit.